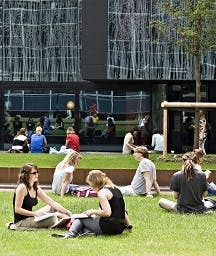 Within the framework of Utrecht Summer School, both Utrecht University and Utrecht University of Applied Sciences offer summer courses. These institutions for higher education offer high quality, fully accredited summer courses. Utrecht Summer School started in 1987, with one course: Dutch Culture and Society. 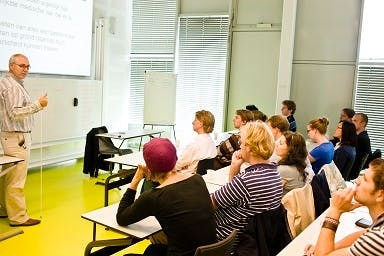 Nowadays the programme offers a broad selection of over 200 academic courses in virtually all disciplines organised by Utrecht University. In 2018 the Utrecht Summer School attracted around 4000 students from over 120 different countries. Utrecht University offers the broadest spectrum of disciplines available in the Netherlands, innovative research and liaises with universities and research centers all over the world. At Utrecht University, in both teaching and research, quality is always the key. The HU offers a wide range of courses spread within nine principal themes. Most of the 80 programmes lead to a Bachelor’s degree, and some lead to a Master’s degree. 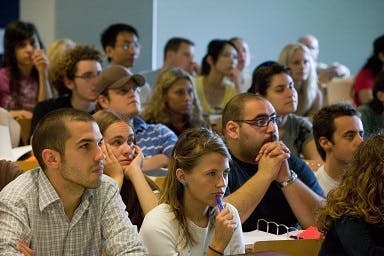 Several programmes are taught in English. HKU has 4000 BA, MA and research students taking part in nine bachelor programmes and six master programmes of which three in English validated by the UK Open University. Utrecht University has developed into one of Europe's largest and most prominent institutes of research and education. Research facilities are excellent. You will be housed in one of the student residences or in some cases in hotels. The student residences are located throughout the city. All accommodation are situated within easily accessible distances from the various educational institutions (in general not more than 30 minutes by public transport). The accommodations are in the University centre the Uithof, in the city centre of Utrecht or its suburbs. You should count on spending approximately €3-5 per day on public transport. The rooms in hotels are double rooms. You will share the rooms with one other student of the same gender. The rooms are equipped with a shower, toilet, television and wifi internet. 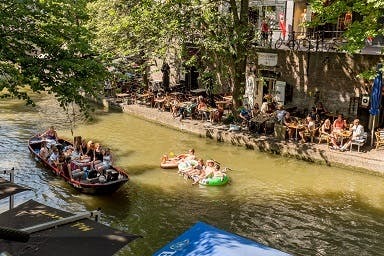 Utrecht Summer School is spread over several locations in and around Utrecht, with a satellite campus at the University College Roosevelt in Middelburg. International combination courses give students the possibility to attend an international course of which part of the programme takes place outside the Netherlands at cooperating partner universities in Italy, Germany, Estonia and many other places.